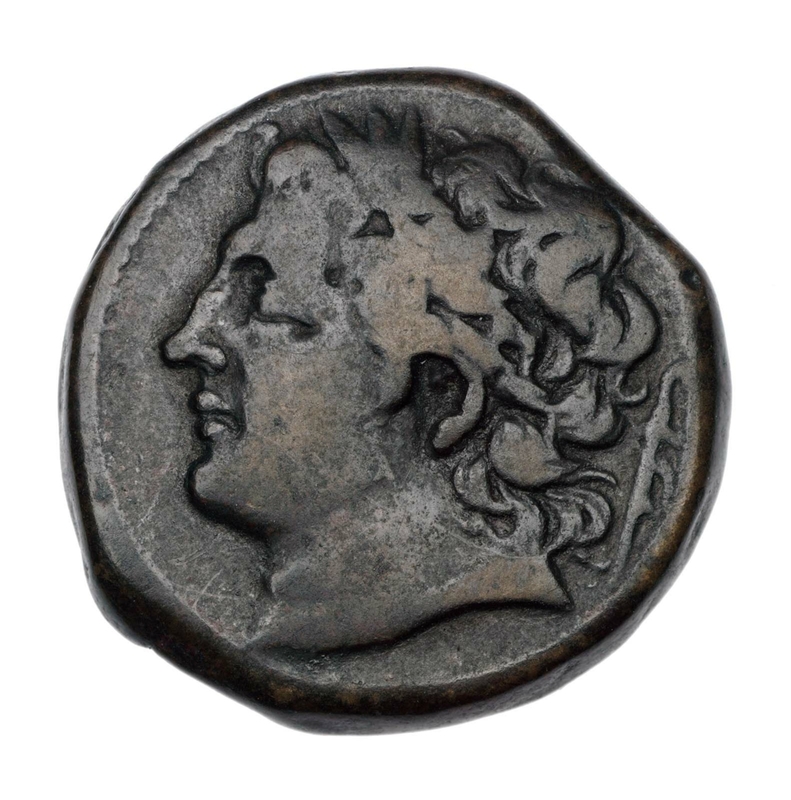 Obverse: Laureate head of Ares to left. Behind, sword. 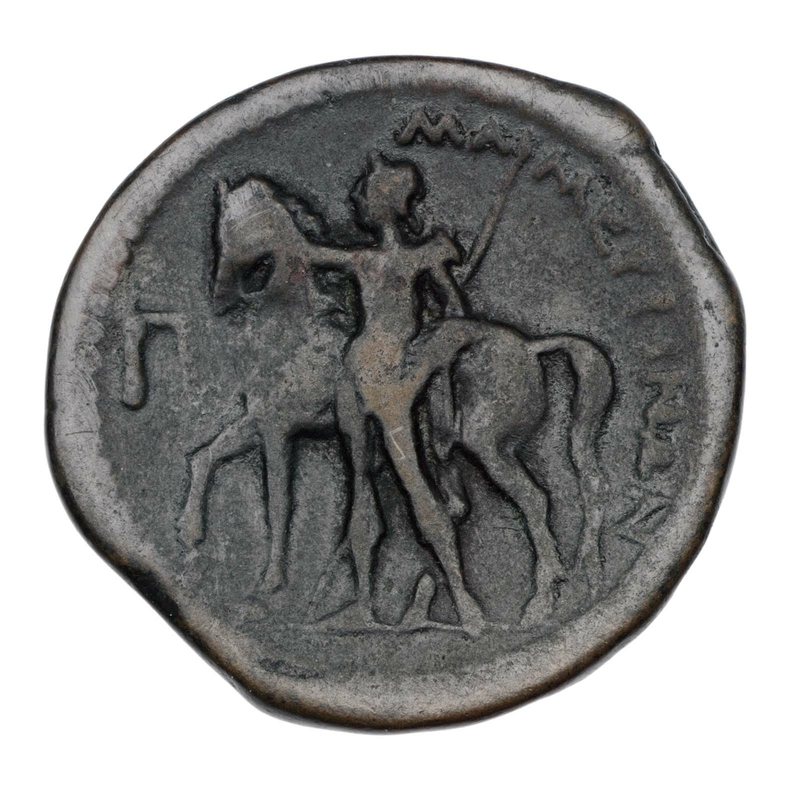 Reverse: Horse stands left, rider stands at side holding horse’s head with right hand, spear in left. Greek letter at left in field and inscription in Greek at right.